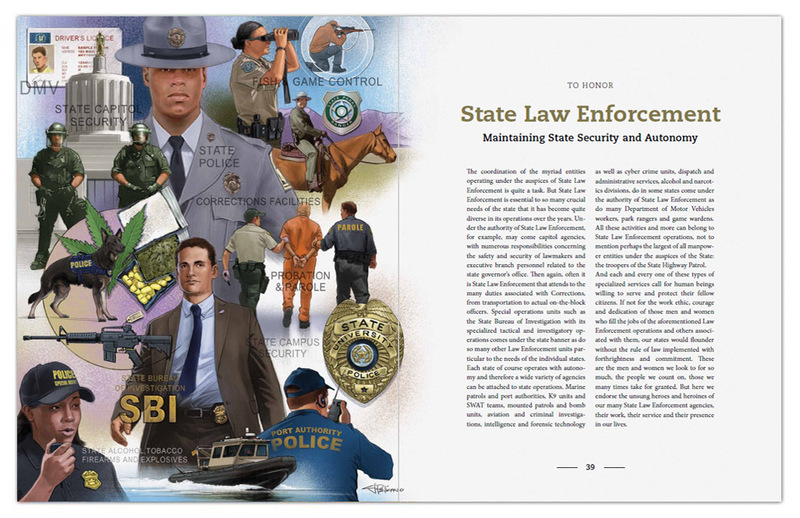 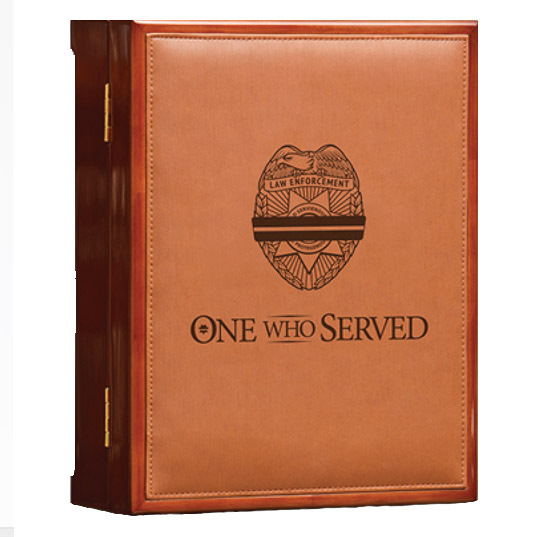 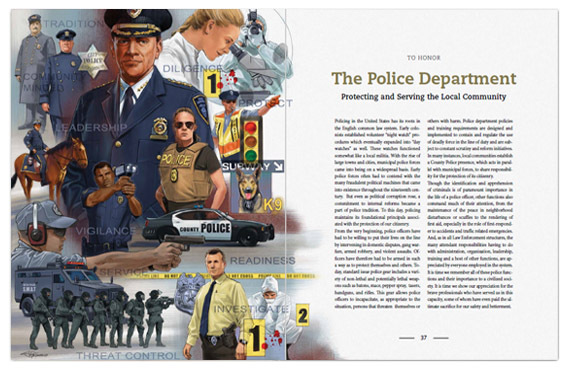 This beautifully appointed memorial volume is designed exclusively for the families of deceased law enforcement personnel. 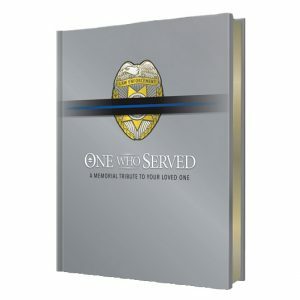 The One Who Served, Law Enforcement volume includes a personalized insert page and a matching sympathy card that can be displayed in lieu of flowers at the visitation or wake. 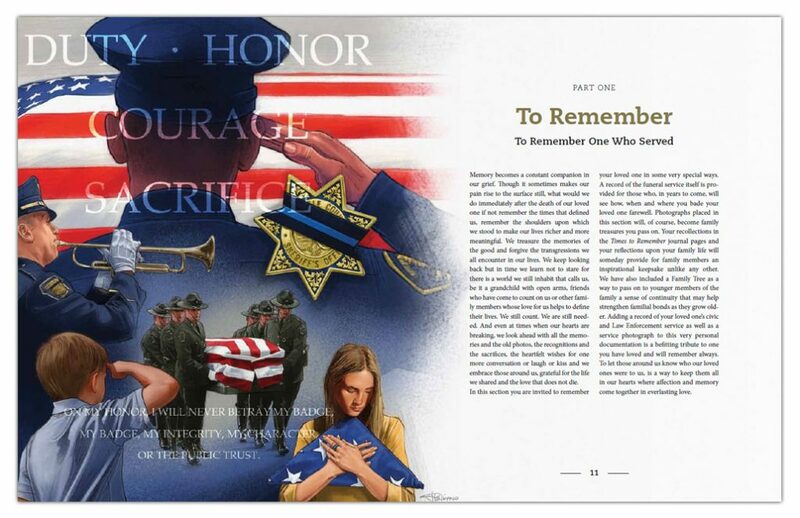 It becomes a treasured family keepsake that celebrates the life and service of the loved one and provides valuable resources and helpful information for the family. 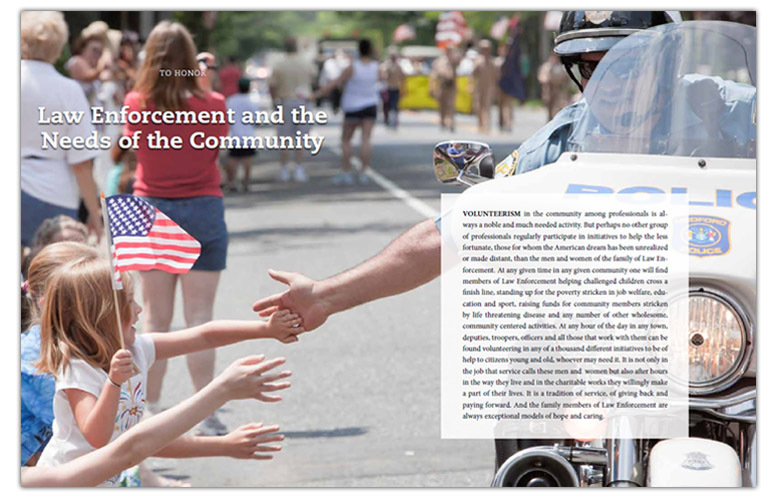 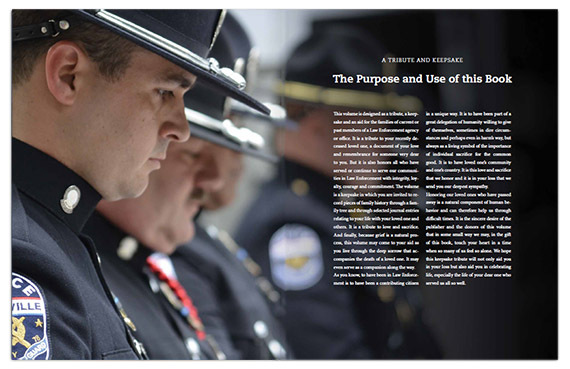 When you give our memorial volume, you recognize the very special contributions made by both, law enforcement and there families to their community. When you provide our journal to a son, daughter, husband or wife, you are telling them that “what you do is important, please record it for future generations”. 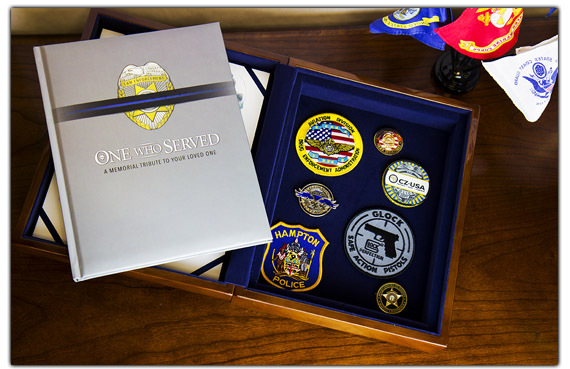 When you use our other products with our brand you tell the world, quietly without fanfare, that you are One Who Served. 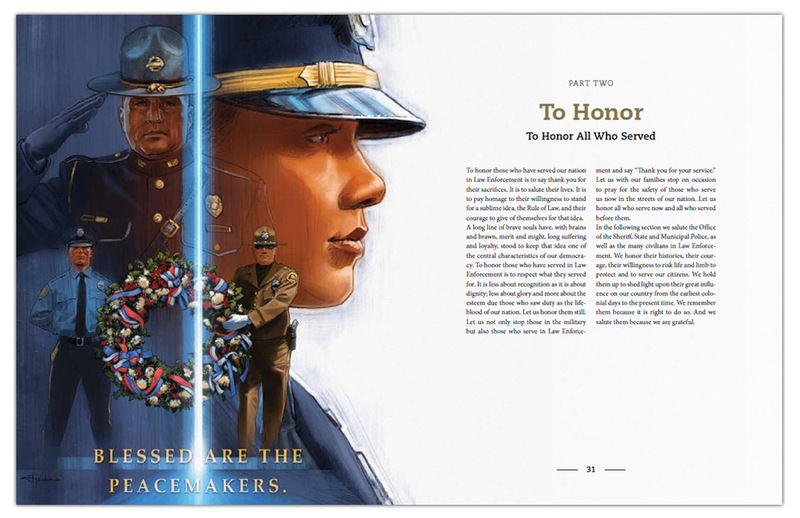 And, most importantly, you remind them that there are those who continue to serve. 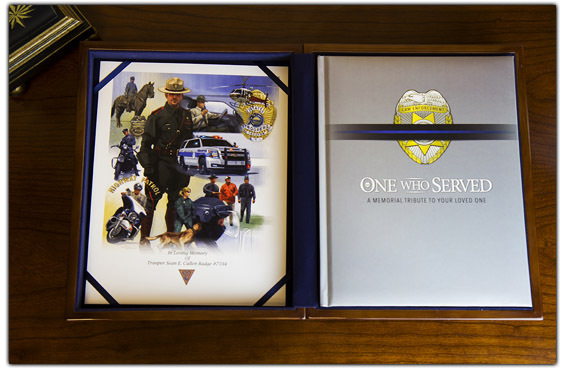 Each presentation option includes the One Who Served volume with the Blue-Star Banner onlay, embossed padded cover, gilded pages, attractive white foil stamping and our commissioned military artwork. 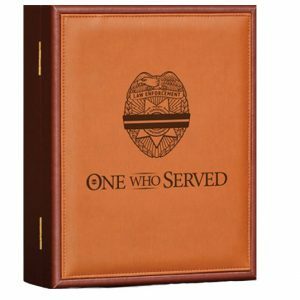 The matching sympathy card and personalized inscription permanently recognizes you or your company as the donor of this military tribute to the family.